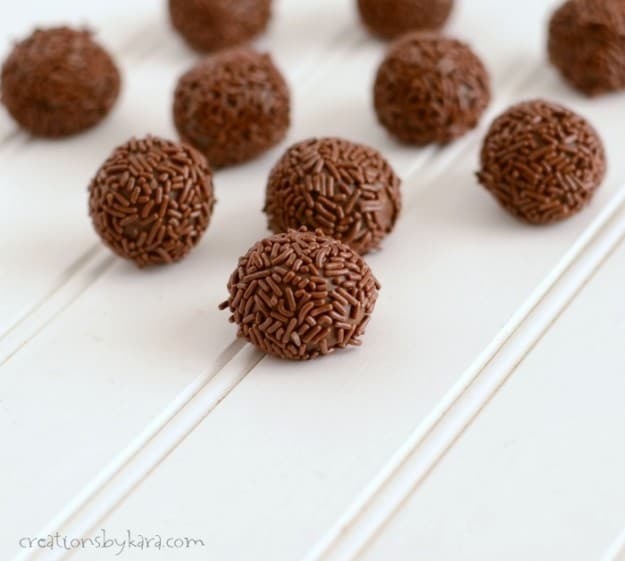 These Caramel Chocolate Truffles (AKA Brigadeiro), are a traditional Brazilian candy. They are easy to make, but hard to stop eating! Last year I was in charge of a cultural activity for the youth of our church. For one of the stations, we brought food from over a dozen countries and let them sample it. Some of the food was well received, some of it was met with turned up noses. 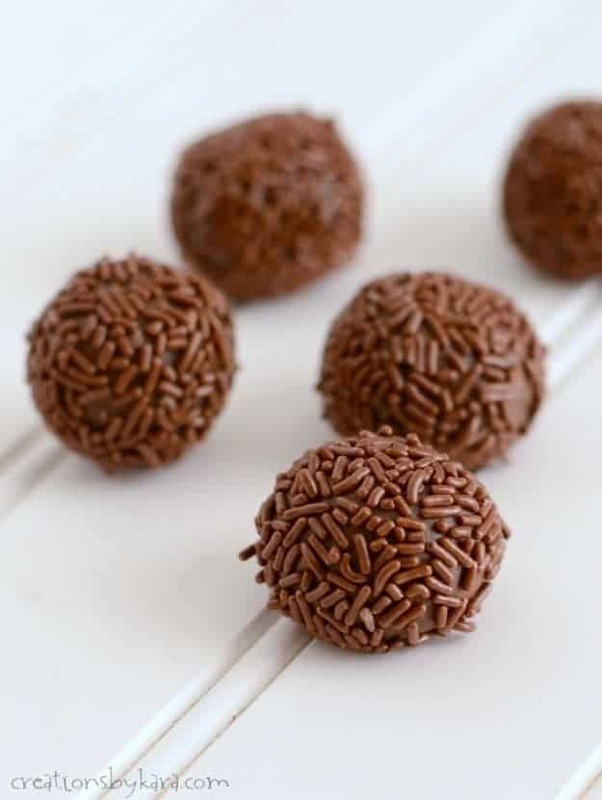 These chocolate caramel truffles from Brazil were definitely on the well received end- I came home with an empty plate. Not even a sprinkle left! I recently made them again, this time for my family. They were gobbled up just as quickly! They are seriously so good. Caramel-y, but with a hint of chocolate. And of course rolling them in chocolate sprinkles makes them fun to serve, and fun to eat! We like them with the 2 tablespoons of cocoa so they have a more caramel flavor, but if you want a stronger chocolate flavor, use the 3 tablespoons. 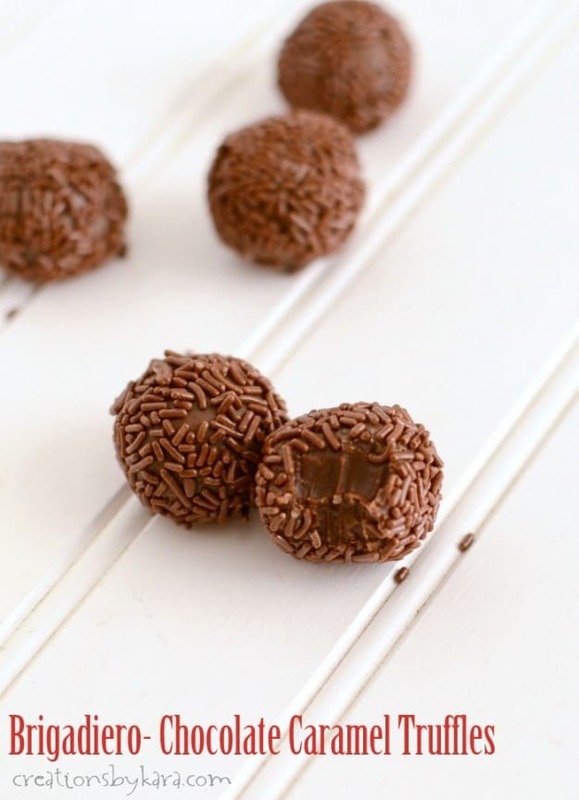 Creamy chocolate caramel truffles made with just a few simple ingredients. Place sweetened condensed milk, cocoa, and butter in a large glass bowl. Whisk together till blended. Cook in the microwave for two minutes. Remove and whisk again. Continue cooking in the microwave for 4-5 more minutes, stirring often, till mixture is thick. Chill for 2-3 hours, or till cold. Roll in small balls, then roll in chocolate sprinkles. You can make them larger if you prefer, they just won't make as many. 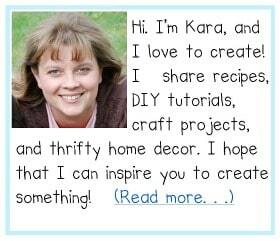 What a fun new candy recipe to try! It looks so good! They are so good, and so easy! These will be perfect for Valentine’s Day!! Quick, easy, & so good!! My family will love them! Love that it only requires four ingredients! Perfect for V-day too. So these need to be kept refrigerated? I would like to give as gifts. They don’t have to be kept refrigerated after they are made, that step just makes it easier to roll them into balls. They do need to be kept in a cool place or they will melt. You could definitely give them as hand delivered gifts, but I’m not sure they would ship well during the hot summer months. I don’t like to use microwave, Can these be make on cooker top. I definitely think these would work on a stovetop. You just need to use low heat (or a double boiler) so the mixture doesn’t scorch. It will take much longer to cook, but since I haven’t done it, I’m not sure how long. Just keep cooking and stirring till it’s thick. Good luck! 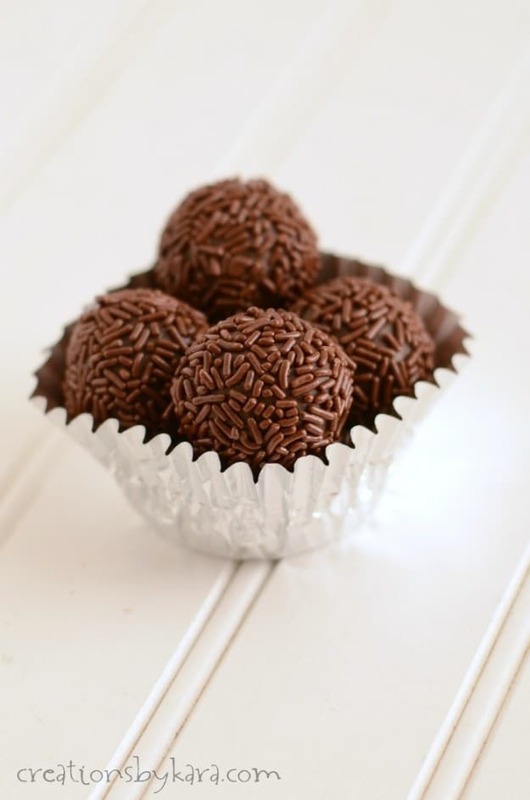 Here in Brazil we really love brigadeiro! It’s delicious! It really is yummy, and I love that it’s so easy to make! I know danggit. I didn’t notice the spelling mistake till weeks after I published it. I was able to change it in the post, but not all the images. Thankfully most of my readers don’t even notice. For some reason, I had it in my head that truffles were harder to make. This looks pretty easy.